No, these are not esoteric sexual orientations; nor are they descriptions of carrots or any other root vegetables. They are the different voting strategies available to eighteenth-century voters throughout most of England. Forget ‘floating voters’ or tactical voting. These are far more fun. I guess most of us are tempted to assume that parliamentary elections in the long eighteenth century used much the same approach to balloting as modern ones. There were some differences, of course. Voting was open – no secret ballots – and had to be done in person at a specific place. That usually meant the election lasted more than a day, so that’s another difference. And we all know about ‘Rotten Boroughs’, where a handful of electors, often all retainers or clients of the local bigwig, returned whoever their master had chosen for them. These elements are true, but they do not cover the whole range of variations. Not all elections were held in the same way. Not all electorates were even limited by the same criteria. Even outside the Rotten Boroughs, some boroughs had an incredibly restricted range of people allowed to cast a vote – only men, of course, with some status in society as property owners or freemen of trades. In a few places, voting was restricted to the members of the borough council. Others set property qualifications high enough to exclude almost everyone save the minor gentry and prosperous merchants. It was all a matter of vague, historical precedents and hang-overs from mediaeval practice. But perhaps the greatest difference was that almost every constituency, large or small, returned two members to the House of Commons. That meant each elector had two votes. Eighteenth-century electors had all the modern tricks available to them: voting for a candidate you were not expected to favour, changing your mind at the last moment, or voting for someone purely to deny another candidate a majority. But they had others as well, linked to the various ways you could apportion your two votes between the candidate. And that was without the extra bonus of demanding a large bribe for voting as someone wished you to do. It’s no surprise, therefore, that whenever they could candidates and parties tried to avoid contested elections, if only because it cost them so much! 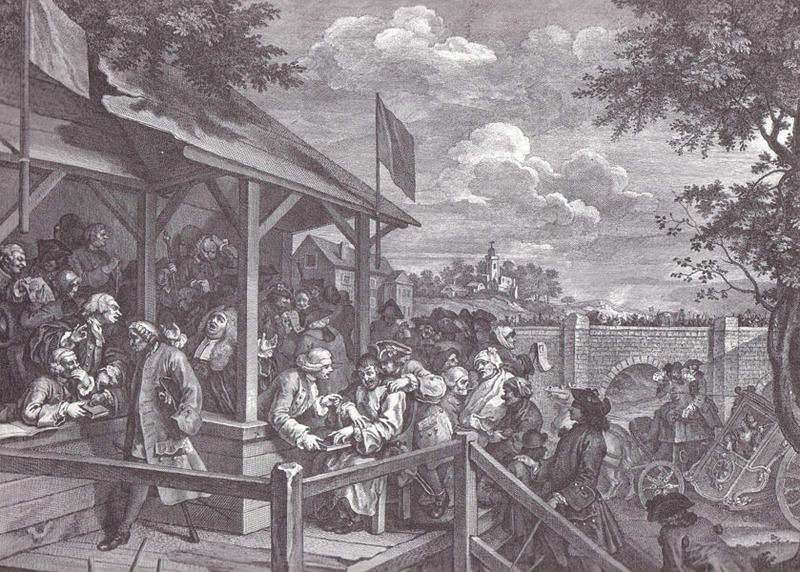 Voters expected to be paid for travelling to the place where the vote took place; to be wined and dined during the election period itself; and to be given a suitably generous ‘sweetener’ to vote in the desired way. As in so many other things, Norfolk had to be different. For a start, both for county elections and Norwich itself, the electorate was unusually numerous, running into a few thousand eligible voters. As was usual with Norfolk folk, then and now, all the voters had deeply-held opinions and were eager to express them. Finally, they were fractious, intolerant of restrictions on their freedom of choice and quite willing to tell their ‘betters’ what they were – and more importantly were not – willing to do. For all these reasons, Norfolk and Norwich parliamentary elections were rumbustious, rancorous and uncertain affairs. For the Norfolk seats, electors had to be brought to Norwich to cast their votes from all over the county – and Norfolk is the fourth largest county in England. For the city elections, candidates had to deal with freemen of many different trades: self-confident, independent artisans and traders well used to going their own way. For years, during the middle part of the century, county elections had been avoided by a simple agreement of the two ‘parties’ to put up a single candidate each, thus ensuring no advantage to either, but avoiding the massive cost of a contest. This ploy did not always work, of course; nor could it be so easily used in Norwich city elections, where the electorate did not like to be cheated out of a good time, plenty of free food and drink and the chance to make a their wishes known in the noisiest possible way. All this brings us to the title of this post. The three descriptions in the title refer to the three options that followed from having two votes. 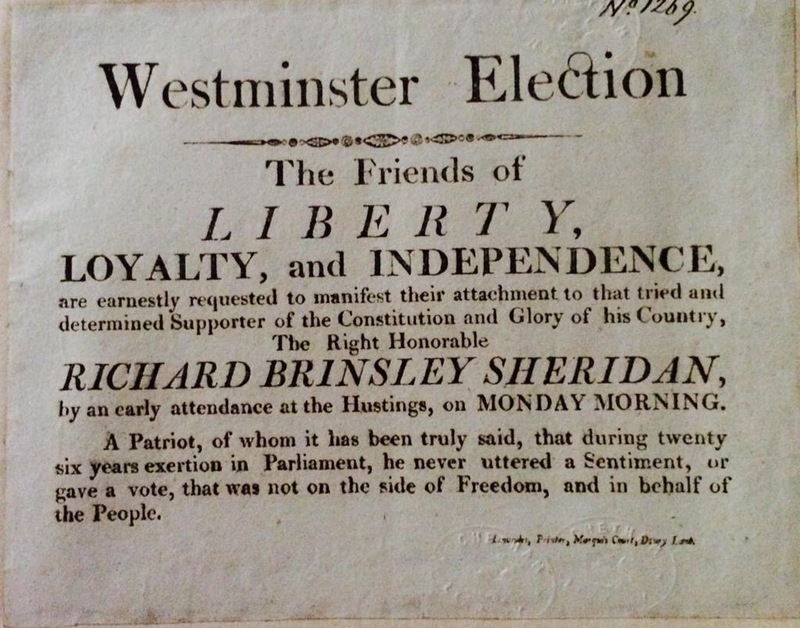 To be a ‘straight’ meant voting for a single-party ticket, where that party was fielding two candidates: two Tories, two Whigs or whatever. In a sense, it put party (or support or opposition to the current ministry) above a preference for any specific candidate. ‘Splitters’ hedged their bets, voting both ways at once: one vote for one party candidate, one for the other side. This might be a way to remove or favour a particular candidate without upsetting the balance in the Commons between pro- and anti-government factions. It might be plain indecisiveness. ‘Plumpers’ were those who voted for a single candidate, leaving their other vote unused. Parties often urged some of their supporters to vote ‘plumpers’, if they thought they were in with a chance of winning both seats for the constituency, but one of their candidates was not a very strong one – or if, of course, they had only one candidate in that election and wanted him to be elected over a second candidate for the rival party. The word for this last strategy has even passed into everyday English, at least in Britain, where people still speak of ‘plumping for’ an option, meaning to place all your hopes on a single choice. In many ways, its odd how rarely historical novelists use the drama of an election in their plot. Perhaps they fear readers will react with the ‘yawn and quickly discard’ option most people use towards modern party electioneering. Perhaps it’s too hard to make such a fictional contest convincing. But I think a good way of producing a solid motive for murder, betrayal or vengeance ought to be an election lost because someone persuaded a group of key voters to ‘split’, when he had promised (or been bribed) to tell them to ‘plump’!